The Bergen County housing market stabilized in the third quarter, with a lack of inventory continuing to stifle growth but pricing showing only mixed results. Sales were up just a tick: Single‑family home sales rose about 1% from last year’s third quarter, and condo sales rose about 2%. For the rolling year, sales in both houses and condos are down slightly, the result of inventory that continues to stick to the four‑to‑five‑month level that’s within seller market territory. But restricted supply coupled with strong demand is having only a mixed impact on pricing: Single‑family home prices were flat for the quarter and are up just a tick for the rolling year, while condos were up sharply for the quarter and now have jumped over 3% on both the average and the median for the year. 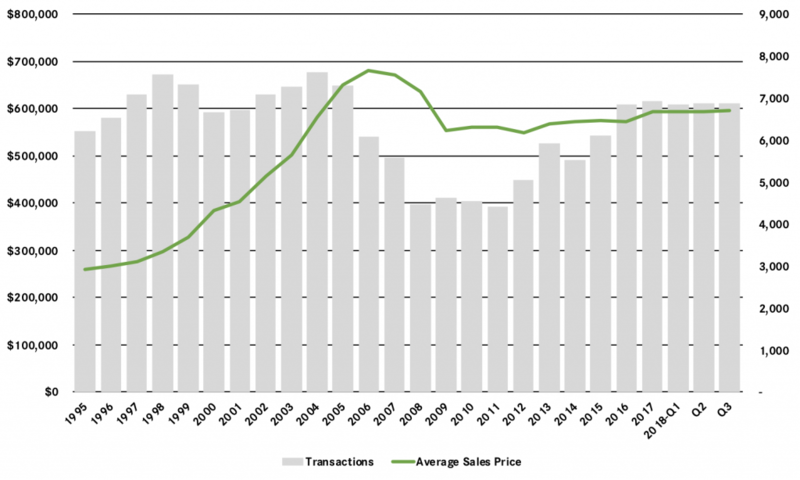 Going forward, we believe that inventory will continue to stabilize and that prices should continue to go up through the fourth quarter and into 2019.